(N.S.W. Irish Rifles. 1895-1912) 33rd INFANTRY REGIMENT. These national companies split to form their own distinct regiments and the Irish were re-designated as the 8th Union Volunteer Infantry Regiment (Irish Rifles) on 1st July 1899. For administrative purposes two non Irish companies from the Illawarra district (one at Kogarah and one at Bulli) were attached. A further Irish Company was formed at Newcastle, the men being sworn in, in June 1900. Twenty three men of the 8th fought in the Boer War. 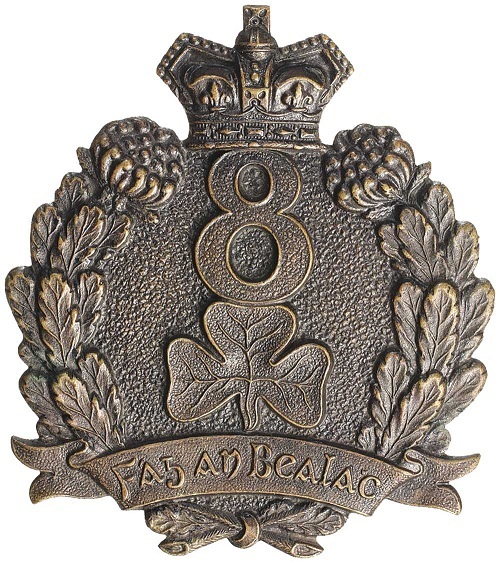 The 8th Union Volunteers Infantry Regiment (Irish Rifles) was re-designated NSW Irish Rifle Regiment (Volunteers) in 1903 and 1st Bn NSW Irish Rifle Regiment in 1908. A major reorganisation in 1912 saw the name change to 33rd Infantry Regiment, and in yet another reorganisation in 1918, change to 55th Bn. Warrant Officer II: Samuel NORTHRIDGE. Who served with the 8th Union Volunteers Infantry Regiment and 33rd Infantry. N.S.W. Irish Rifles. Headquarters - Machine Gun Section - "A"-"C" Company - Camperdown. "B"-"D" Company - Darlington. "E"-"G" Company - Stanmore. "F"-"H" Company - Petersham. 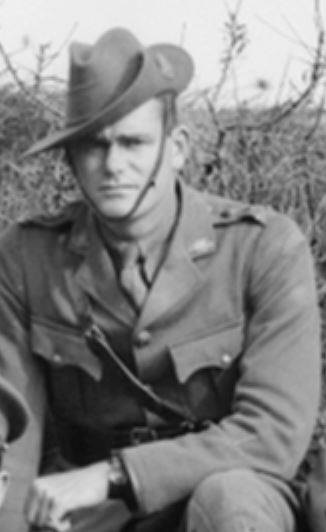 Captain: Leslie Gordon CLARK 33rd Infantry Battalion. (Area Officer) N.S.W. 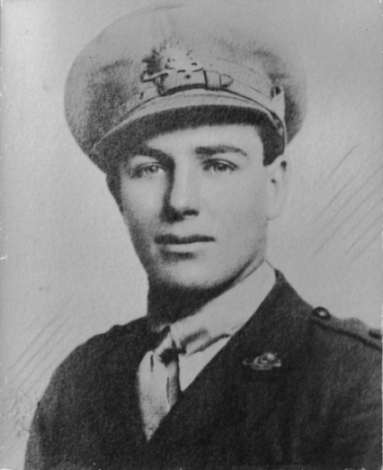 Captain: Albert John Joseph George MCGUIRE. 33rd Infantry Battalion. (E Company - Stanmore Company) N.S.W. Lieutenant: John William SMYTH. 33rd Infantry Battalion. Warrant Officer I: 1 Charles Edward FIELDHOUSE. N.S.W. Irish Rifles. 33rd Infantry Battalion. Armidale. N.S.W. Warrant Officer II: Samuel NORTHRIDGE. N.S.W. Irish Rifles. 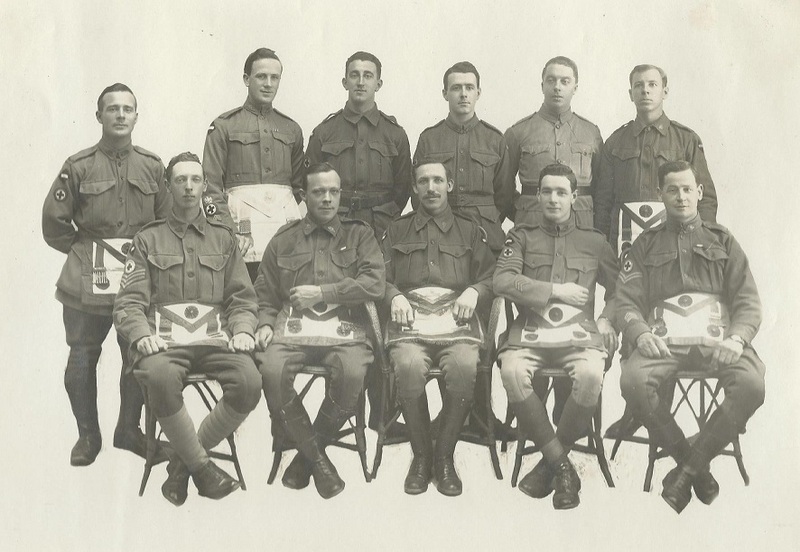 33rd Infantry Battalion, (E Company - Stanmore Company) N.S.W. Sergeant: 3 Edward LOCKYER. N.S.W. Irish Rifles. 33rd Infantry Battalion. Armidale. N.S.W. Private: 2275 George Victor BLOM. 33rd Infantry Battalion. Senior Cadet; Sergeant: Stanley George CRAFT. 33rd Infantry Battalion, Senior Cadets. Senior Cadet: Alexander William AUBREY. 33rd Infantry Battalion, Senior Cadets. In the days before Federation and long before the inauguration of universal training, all that was attractive in matters military emanated from the keenness and efficiency of the national regiments' St. George's, English, Australian. Scottish, and Irish Rifles. 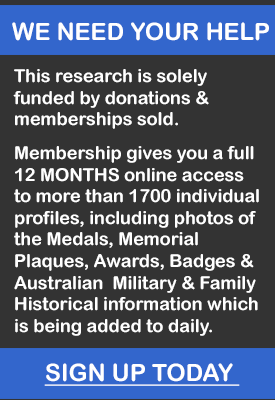 Last January (1935) witnessed the jubilee of the formation of the New South Wales Scottish Rifles, and this year coincides with the "fortieth anniversary of the inception of the Irish Rifles. In the mid-nineties it was advocated that the loyalty of the Irish citizen of Sydney to the Queen and the Empire could be no more fittingly demonstrated than by the formation of an Irish Volunteer Regiment and so the month of November 1895 saw the Initial arrangements set on foot. A largely attended meeting of influential citizens was subsequently held on Monday January 20 1806 in the reading-room of the Hotel Australia. It was presided over by His Eminence Cardinal Moran, and after the chairman had set out the objects of the meeting. 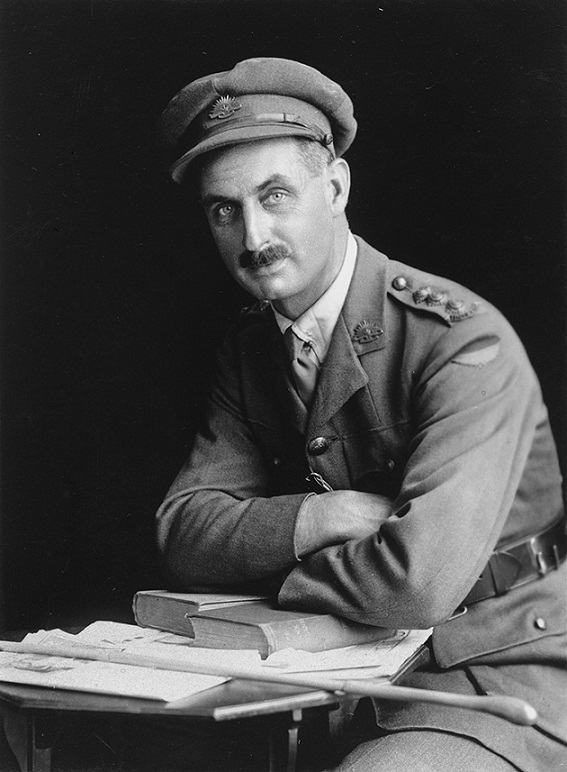 Lieutenant Colonel: A. J. Thynne, who was connected with the Irish Volunteer Corps movement in Queensland, addressed the gathering and finally it was decided to raise the regiment. A deputation, consisting of Sir Patrick Manning, the Hons T Dalton, J. Toohey, and J. Lane-Mullens, Colonel Waddell, Major's Strong and F. B. Freehill, Captain Ferris, and Mr. (late Sir) Austin Chapman was then elected to interview the Premier Sir George Dibbs, and Major-General Sir E.T. Hutton, then Commandant of the Ñew South Wales forces. Before this initial meeting closed, the following significant telegram from the Commándant to Colonel Waddell was read to the gathering:- "Please say that I had been available, I should certainly have-been present. I entirely concur in the proposal to form the Irish Rifles on the strict understanding that the corps maintains an nondenominational and non-political character. I personally have very emphatic views on the military value of Irish men, and I wish every success to the New South Wales Irish Rifles. This deputation, having been favorably received, the formation of the National Regiment was approved and duly gazetted on March 25 1896, its first, Commanding Officer being Major: James Garvan, who had originally suggested and initiated its formation. How ever, he only held the command for a brief period, and he was succeeded by Major: (later Colonel: J. H. P Murray, at present Lieutenant-Governor of Papua, and perhaps the most able Administrator of native territories in the British Empire. 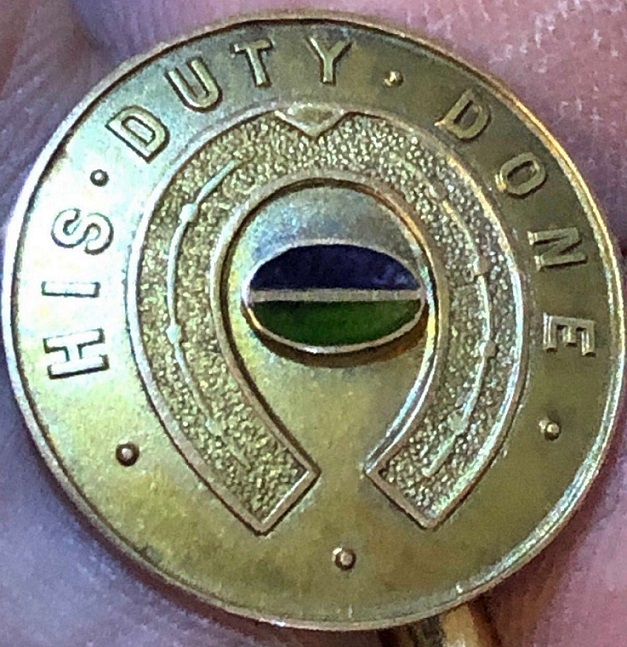 ITS INFLUENCE SPREADS On June 30 1896. th Irish Rifles (consisting of three companies) in conjunction with the Scottish Rifles formed the 5th Union Volunteer Infantry Regiment from which it was to emerge on June 28 1890, as the 8th Union Volunteer Infantry Regiment. 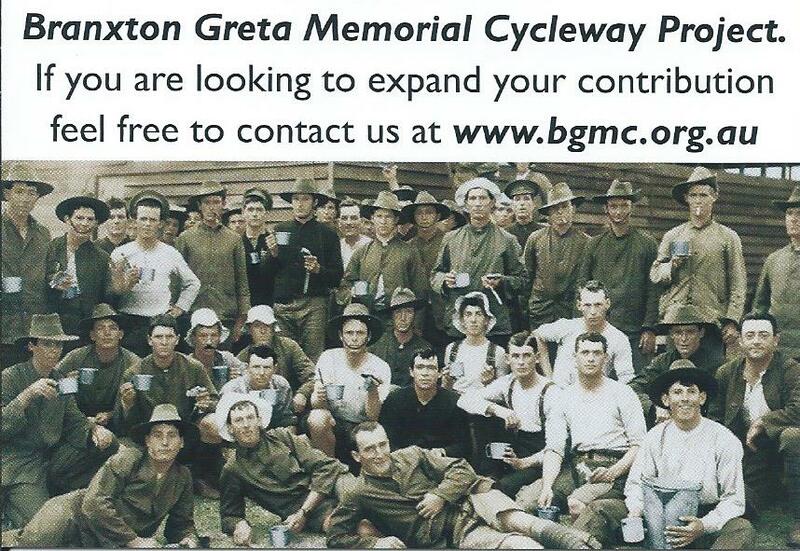 It was in the latter year that another company was added to its establishment while two companies of the Illawarra Rifles (Kogarah and Bulli) were attached to form an administrative unit of six companies. 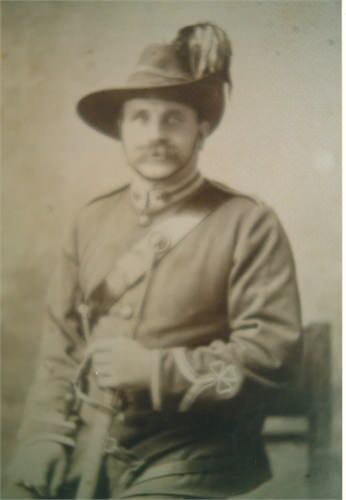 In September 1900 two companies were formed at Newcastle under the command of Captain: T. M. O'Neill, with Lieutenant: D. O'sullivan as his subaltern; while June 1902, saw, the two Illawarra companies being transferred from the Irish Rifles to the St, George's Rifles. After Colonel: J. H. Murray's retirement, the command fell to Major; (later Colonel). F. B. Freehill a man of short stature in comparison to the tall athletic Murray but never the less a soldier of great keenness and administrative ability and one who helped to build up the tradition of the regiment. The headquarters of this old volunteer unit was for many years in the old barracks in Chancery-square till they were subsequently demolished to make room for the stately Registrar-General's Department, while its parade ground was in the Domain close by. On moving from here Its Commanding Officer leased a store in Dalley street, nearly opposite the present Metropolitan Business College, while subsequently it was located at Victoria Barracks, Paddington. 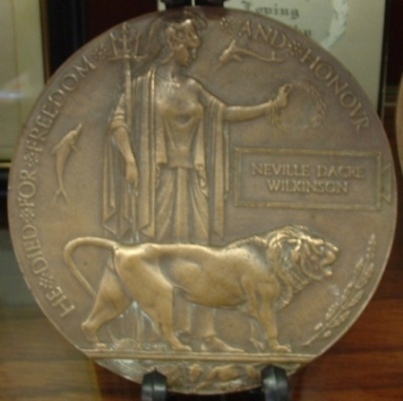 The regiment was well represented in every contingent that left New South Wales for South Africa. Its Commanding Officer: Colonel Murray, distinguishing himself at the battle of Diamond Hill and being present at the occupation of Pretoria, while Captain: H. D. Woods, one of the original officers rather than be denied the privilege of active service, volunteered as a sergeant, with the 1st Australian Light Horse, while the sterling services of the rank and file is perpetuated to day by the emblazonment of the battle honour, South Africa, on the regimental colour of the 55th Battalion, A.M.F. When the State troops came under the control of the Commonwealth, the unit once more changed its designation, when, on October 31 1903, it became the New South Wales Irish Rifle Regiment. CONTINUOUS CAMP TRAINING. 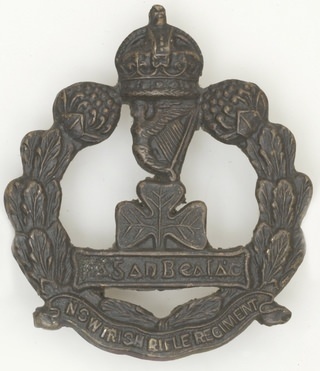 The Irish with the other three National Volunteer Regiments formed the 2nd Infantry Brigade, and as they were only volunteers they had four days' camp of continuous training, generally leaving Sydney on the Thursday before Good Friday, and returning to Sydney on Easter Monday night. The last camp the regiment attended as volunteers was held at Liverpool on March 24-27 1910, and in view of the unsatisfactory numerical state of the present volunteer system and the general agitation for the return of universal training, it is perhaps opportune to quote extracts from the "Sydney Morning Herald" on this camp. Here at Liverpool we have the troops upon which with the R.A.A., the capital relies for Its defense. There is a certain historic significance in the passing of the volunteer. For many years without fee or reward, often at great inconvenience, and always with very little appreciation or sympathy from the public, the volunteer, English, Scottish. Australian, and Irish Rifles, have done their duty nobly. They are trampling over country roads, swallowing quantities of red dust, return at night weary, and all for love of country. The N.S.W. Irish Rifles, In conjunction with other volunteer and permanent units, took part in the annual King's Birthday reviews, held on the Monarch's birthday, in Centennial Park, Sydney and they always acquitted themselves well. 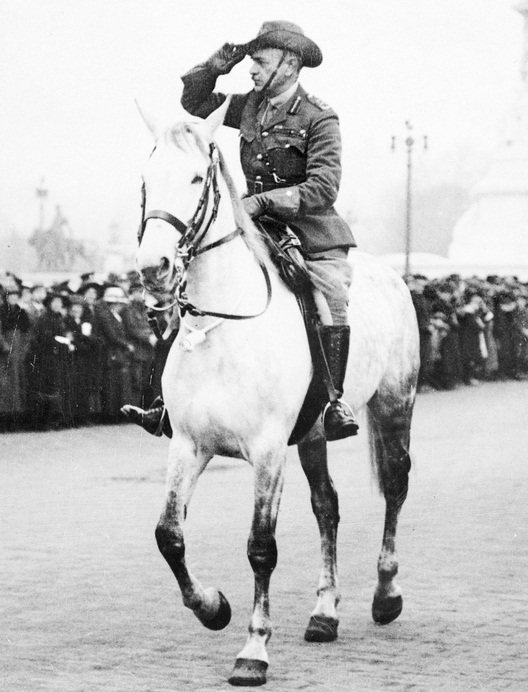 On the death of Colonel: F. B. Freehill, in 1907, the command was given to Dr. the Hon. J. B. Nash, M.L.C. a man of great charm and personality. 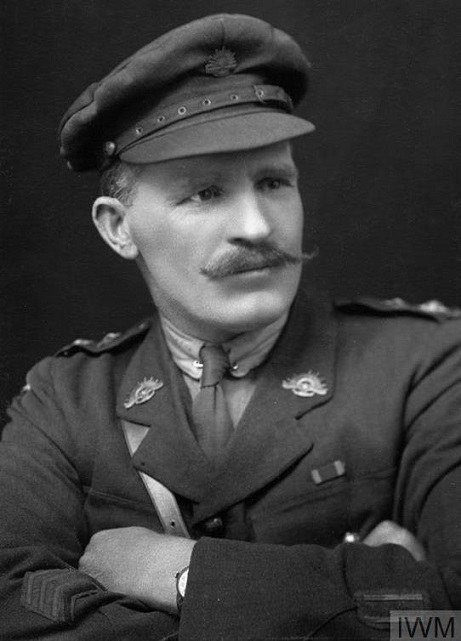 Major: Nash came from Newcastle, where he had served with distinction in the 4th Regiment, Commanding the Lambton Company; and when he retired in 1911 he recommended his adjutant, Major: (later Colonel) P. W. Fallon to take command, which he did on May 6, 1912. In 1912, on the introduction of universal training, the N.S.W. Irish Rifles ceased to exist as such and became the 33rd Infantry Battalion, and the picturesque green uniform was changed to the universal and sombre-khaki. However, the 33rd under the able Command of Colonel: Fallon soon became an efficient regiment, and worthily carried on the traditions of the parent unit. 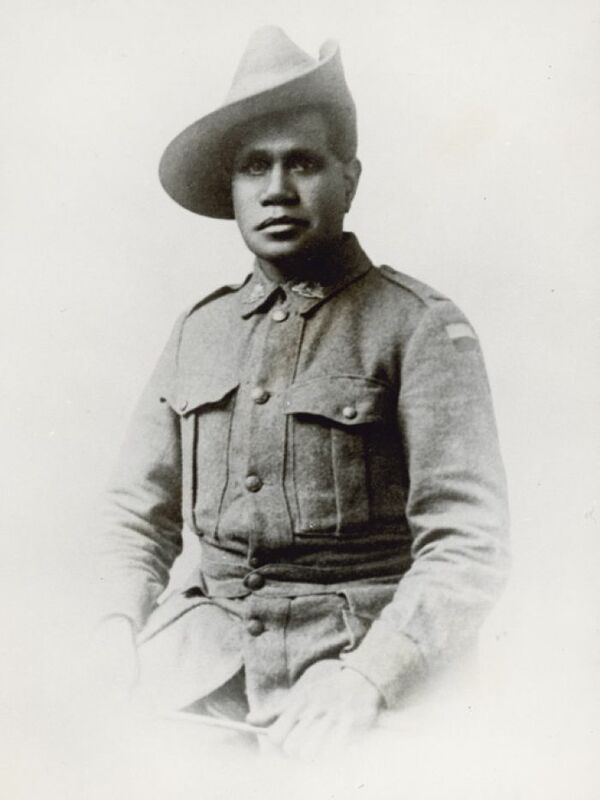 .On the outbreak of war in 1914, many Officers, NCO's and men went with General: Holmes Naval and Military Expedition to New Guinea, others enlisted in the 1st Australian Division being drafted to the 3rd Battalion, A.I.F. in Egypt. In 1916 these formed the nucleus of the 55th Battalion A.I.F., which saw service in the defense of the Suez Canal and the Western Front. In 1918 there was a further reorganisation of the military force's, and on October 1 the 33rd became the 5th Battalion. 4th Infantry Regiment. 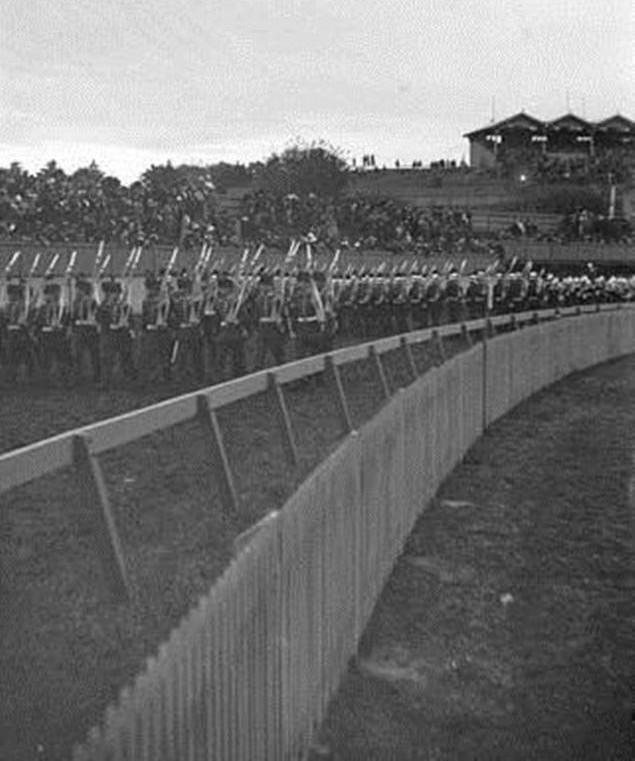 In March 1921, at a ceremonial parade in Sydney Domain, the original parade ground of the old irish, Rifles, his Excellency the Governor handed over the King's and regimental colour to the '55th Battalion. A.M.F. the direct descendant through the 33rd Infantry of the old volunteer unit the nineties. The Irish Rifles experienced many vicissitudes of fortune. Difficulties were many, but they were overcome by the self-sacrifice of officers and men and later on when the' great call came, they responded gallantly in the first drafts raised in Australia for Gallipoli and France. Likewise, Its descendant the 55th Battalion. A.M.F. has also suffered. The universal need for financial economy Is reflected particularly of late in sadly diminished ranks of the latter. 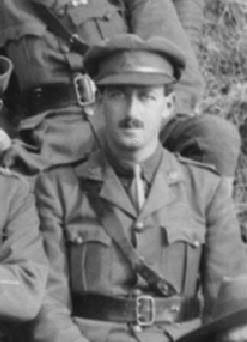 But whatever befalls, there is the assurance that the grand tradition of the Irish Rifles will be safe in the keeping of those who remember and as the glory of the old Scottish has been recently revived by the appearance of the 30th Battalion Ä.M.F. in the kilt, one hopes the day is not far distant where once more the picturesque emerald green of the Irish will vie with the kilt for popularity. A further Irish Company was formed at Newcastle; the men being sworn in, in June 1900.